St Pancras Renaissance Hotel London is a sparkling gem in the capital, standing as an architectural feat in the area. A luxury five-star hotel with distinctive character, it offers a truly unique place to stay, meet, eat and relax. 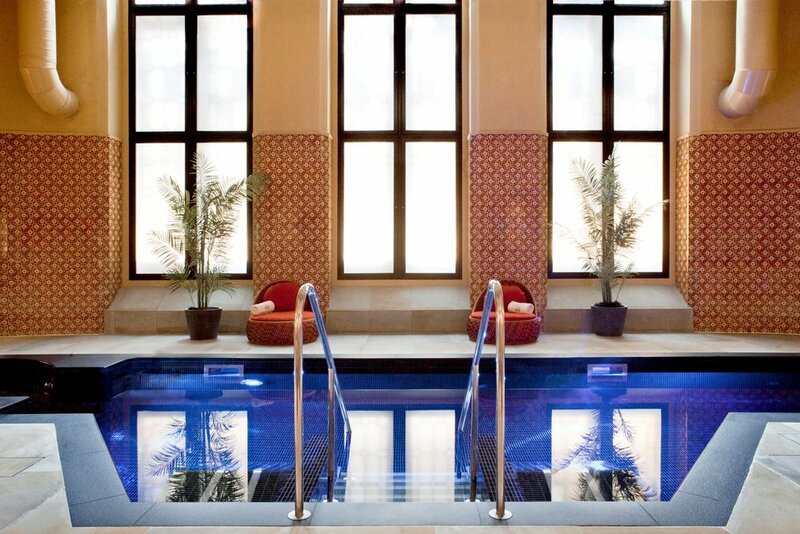 The St Pancras Spa takes its cue from traditional beauty and relaxation rituals from around the world. The striking Victorian interiors house the theme of rejuvenation, with peacock theme running through the spa - the symbol of eternal life and regeneration - which perfectly summarises the essence of the spa. Once you become a member of St Pancras Spa, you can indulge in exclusive relaxation all year round. It is a place to take time for yourself. The membership gives you the opportunity to regularly unwind in a luxurious Victorian spa setting and escape the hectic city life with all the benefits of the spa. Leave your worries at the door and feel the tensions ease away. To redeem: Please email spa.stpancras@renaissancehotels.com and quote The Merit Club. You will be requested to provide evidence of your membership with us and a proof of ID upon your first visit. You can do it by simply logging into Account info at the bottom of every page.